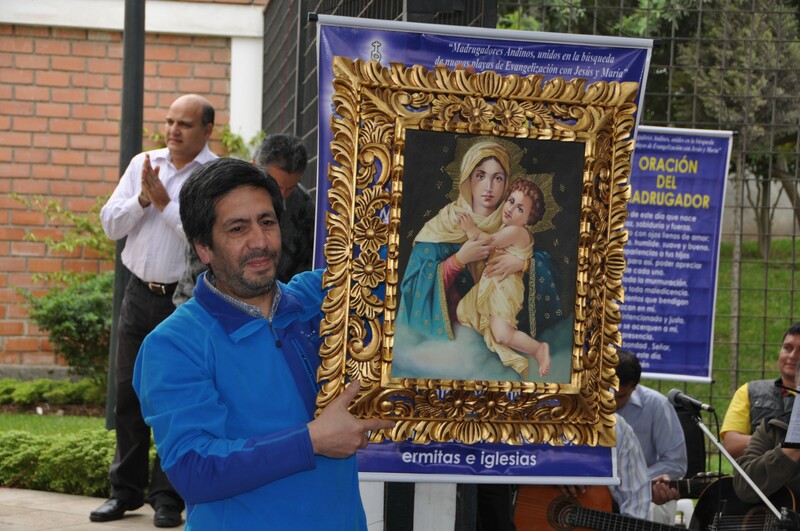 Recently his course, the first of the Men’s Federation in Chile celebrated its perpetual consecration, that is, they committed to live the Schoenstatt charism as men and allies. What does it mean? 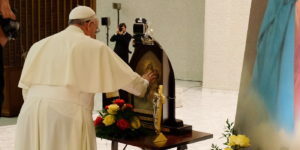 – With the Perpetual Consecration, in a manner of speaking, it is a stage of formation and of deepening oneself in Schoenstatt history and that of our Father. Our integration or belonging forever in the Men’s Federation is produced through this consecration ceremony. In the most structural or organizational way, it is an important step towards full autonomy and independence. 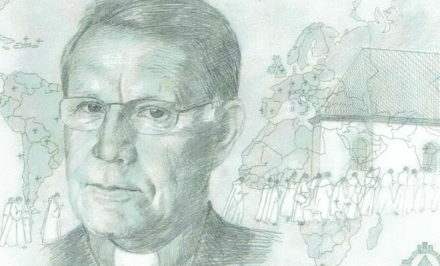 When the Men’s Federation of Chile founding process began ten years ago, the International Council of the Family asked Fr. Mariano Irureta and “Tocho” Westphal to carry this important task forward. In some way, we also become bearers of our Father and Founder’s charism for this very convulsive time in our Church, which is going through very complex times in Chile. 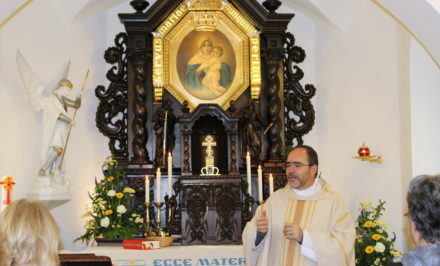 Within the context of what Father expressed: “Every fifty years Schoenstatt should be re-founded,” we assume a role as co-founders in a profound union with him. Schoenstatt began with men, first future priests, students, then priests and lay people. What are more often seen in Schoenstatt, however, are families and women. What role do men have in Schoenstatt? Certainly, it is a great task and mission. Announce and struggle to conquer an important space for God in our lives, families, work, and the whole of society. The “profane” world is where God loves us, and it is there where we should witness our faith and carry out the mission, the “favorite secret idea” of our Father and Founder. Now this task and this mission has very special accents in our reality as men in the midst of the world, and it is related with the way in which we exercise and conceive authority. The times in which we live, in relation to this aspect, are of vital importance. It is not a matter of the way in which we relate “with” and “how” to authority in the today’s world. In this sphere, Father gives us much clarity and he challenges us to be new and daring symbols in a kind of authority that is born of the consequence of life and is found in Christ himself, the living example. Fr. Kentenich’s life is an important source and example of authority. 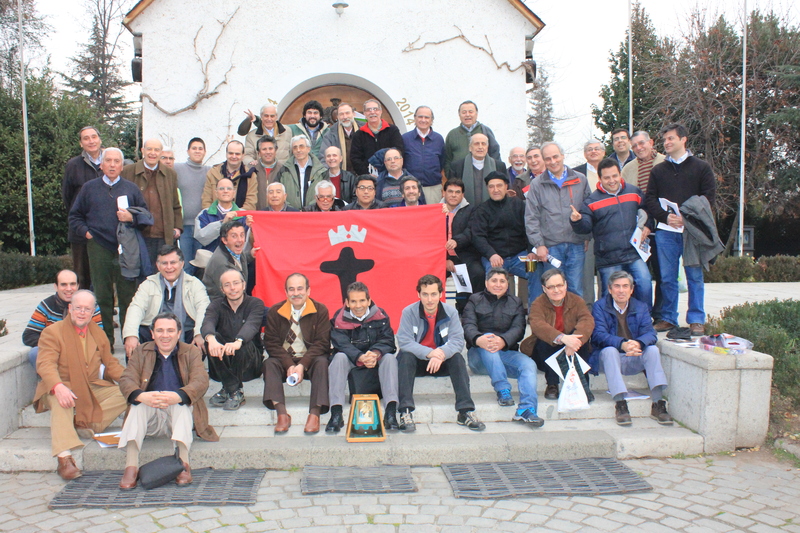 What do you do as Men’s Federation to strengthen the role of men in Schoenstatt? – From the beginning, we have made ourselves available to everything that we can contribute to the different instances that make up the Column of Men in Chile and in other places or countries. A clear sign of this willingness to serve is my role as National Adviser of the Men’s Branch in Chile, and of the other members of the Federation that are at the service of other groups of men. 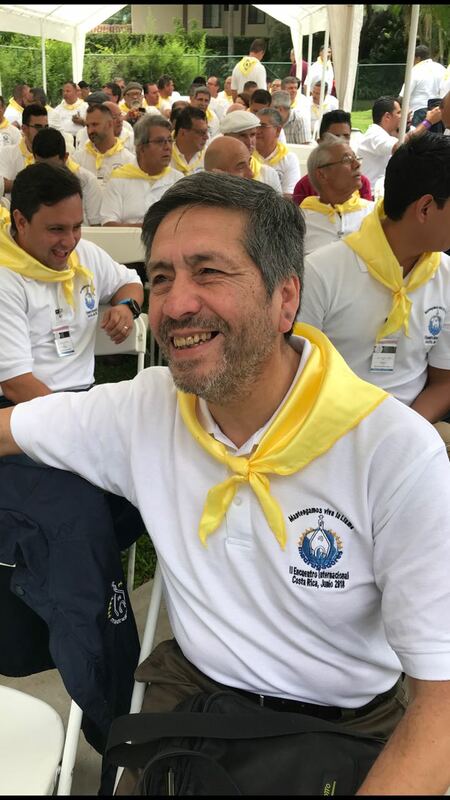 In the realities of men in Chilean Schoenstatt today, what are the options, in the case of a young man who goes through the Boys’ Youth, or a businessman, a mayor, or a simple worker? – For years good work has be carried out like the Column of Men, perhaps as a really extraordinary case, according to what many say and that is not obvious, understanding that “federation” many times better accents our total independence of others… According to the special interest that a man or young man can have and that wants to assume a level of commitment in Schoenstatt, in Chile, the Column of Men offers the opportunity to join the Madrugadores, Young Professionals, Forjadores, the League or Branch, and if they feel called, also the Federation. You are the adviser to the Men’s Branch. How did they arrive at having a lay adviser when most of the time a priest has this role? 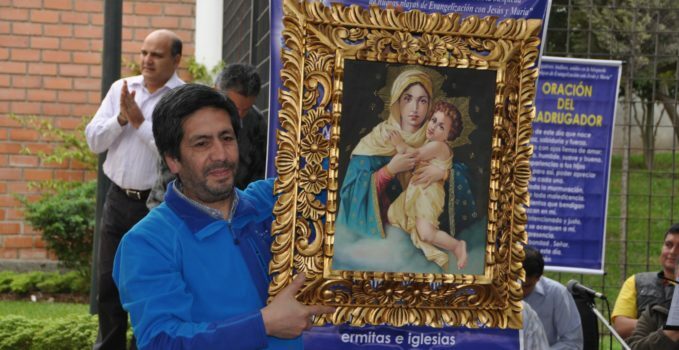 – Given the growth and development of Schoenstatt in Chile and the constraints that Headquarters is experiencing to adequately advise the Branches, on 15 September 2012, I became lay Assistant Adviser, to Fr. 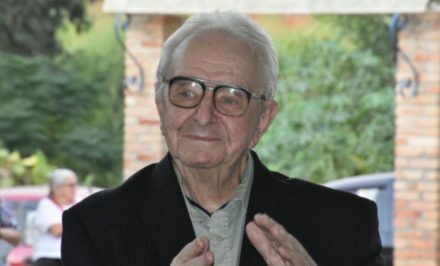 P. Raúl Feres. Since I did it well (at least that is how understand it) in March 2015, I became the National Adviser, with Fr. Raúl becoming the Chaplain Adviser. You are the founder of the Madrugadores. How did that emerge and how do you see the development of this current in Chile and in other countries? 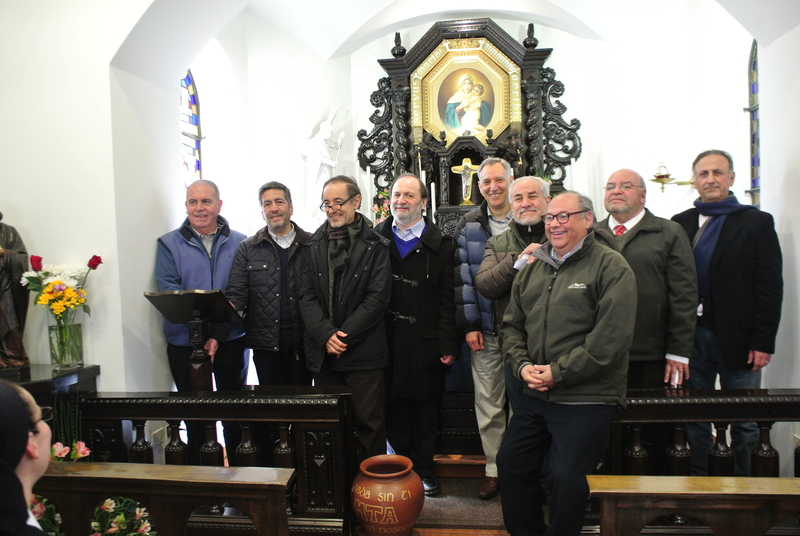 – The life current of the Madrugadores began twenty-nine years ago, shortly before the blessing of the Schoenstatt Shrine in Rancagua, in May 1989. One of the motivations that the founding group had was as men to assume an in original way, the care of this place of grace, the first one in Chile, which is under the responsibility of the lay people. With fruitful and “explosive” growth, God rewarded the bi-weekly prayer meeting on Saturdays at 7:00 am, ten years of loyally and constantly carrying it out. The first communities emerged when some of ours moved from the city, and they took the concern and the “necessity” of continuing to madrugadar (pray at dawn). The madrugada is not the fruit of an elaborate, strategic ministry, it emerged from life and of what God awakened in the souls of men that needed a space for a personal encounter with God, and communion with others. Sharing breakfast and other founding elements of the madrugada emerged on the walk and in history. Misa, Mesa, Mundo, (Mass, Table, World) the 3 M’s of every madrugada, have been a conquest and a truth that has been discovered and uncovered on God’s walk with his Mother in our midst. Currently, in Chile there are more than 150 communities of Madrugadores, from Arica to Punta Arenas, 90% of them are communities that function in parishes, an enormous gift! There are another 100 communities in at least eighteen countries. From your international experiences, in which countries did you learn about the Movement, are their Schoenstatt sprouts with male traits? – Just as it happened in the majority of the countries where Schoenstatt grew strongly, the greatest development was in the Couples’ Branch and in the Women’s Branches. Until recently the men were the great absentees. It is a situation that has been changing little by little. I have traveled and contacted many places where the Men’s Branch was founded or re-founded. There are also beginnings of the Men’s Federation, an amen to what the Madrugadores also contribute with their presence and massiveness. I can affirm with absolute certainty that Argentina, Costa Rica, Puerto Rico, Paraguay, Mexico, Ecuador, and Colombia, have important experiences regarding your question. Brazil is a special case, and it has an extraordinary potential for growth, especially in relation with the activity of the Roario de Hombres (Men’s Rosary), which convokes and gathers thousands of men. 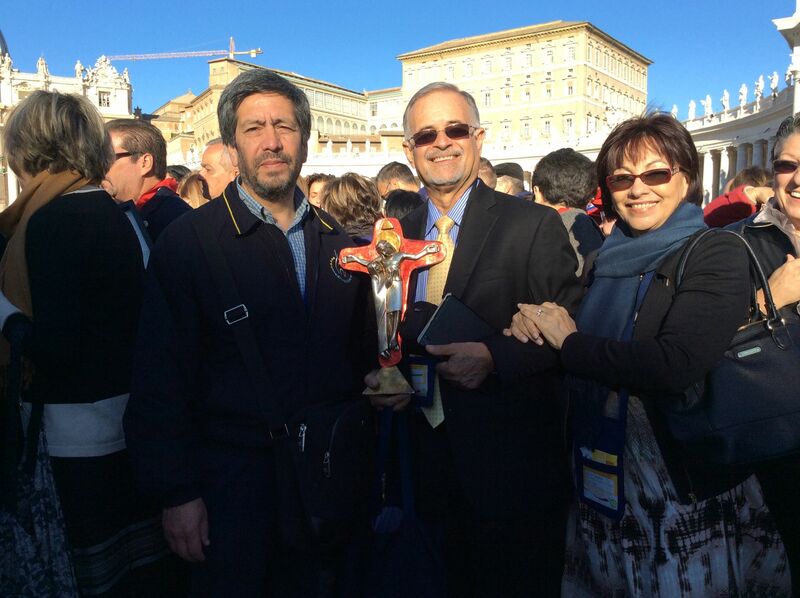 What can a man do that wants to participate in Schoenstatt in a country where there are no male communities? – Contact me or other men and a way will be found to support any initiative that emerges, In such a globalized and connected world, anything is possible. A book: Father’s Shadow by Jan Dobraczynski. A date: 29 January 1979. A gesture: Here I am. A dream: Madrugadores Communities in every parish.